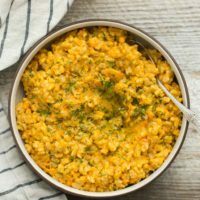 A wonderful, alternative-grain risotto using barley and made extra creamy thanks to pureed carrots and mascarpone cheese. Slice carrots about ½” thick. Toss with olive oil and place on a sheet tray covered with parchment or in a roasting pan. Roast until tender and starting to brown; 30 to 35 minutes. Heat a small, 3 quart dutch oven over medium heat. Add in olive oil followed by the minced garlic. Cook for a minute or so, just until fragrant. Stir in the barley and toast, 2 minutes. Measure in vegetable broth. Bring to a simmer, cover, and transfer to the oven. Bake for 45 minutes, checking around the 35 minute mark. Barley should be tender but slightly chewy and broth should be absorbed. When carrots are done, combine with the mascarpone in a food processor and puree until mostly smooth. Add ¾ cup of milk and puree again until smooth. Once barley is done, add the carrot mixture into the pot and stir until well combined. If the barley needs to be a little creamier for your liking, add the extra ¼ cup of milk (or more, if desired). Finally, add in the dill and stir. 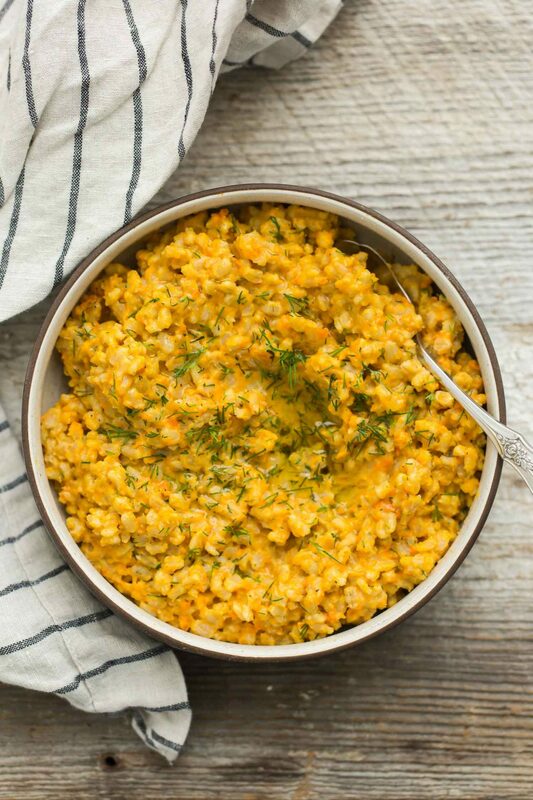 Divide the risotto into bowls, drizzle with olive oil, and sprinkle with dill before serving. Tips & Tricks: If you don’t feel like roasting the carrots, you could steam instead. If you do not have a dutch oven, any oven-safe pan will work. Just needs to have a tight fitting lid! I love this baked barley risotto because the base can be kept the same while changing up all of the flavors. Different vegetables, herbs, and cheese can all be replaced while keeping the risotto cooking process the same. Vegan: Instead of pureeing the carrots with cheese, use 1 cup of white beans instead and add enough vegetable broth to make the mixture creamy. 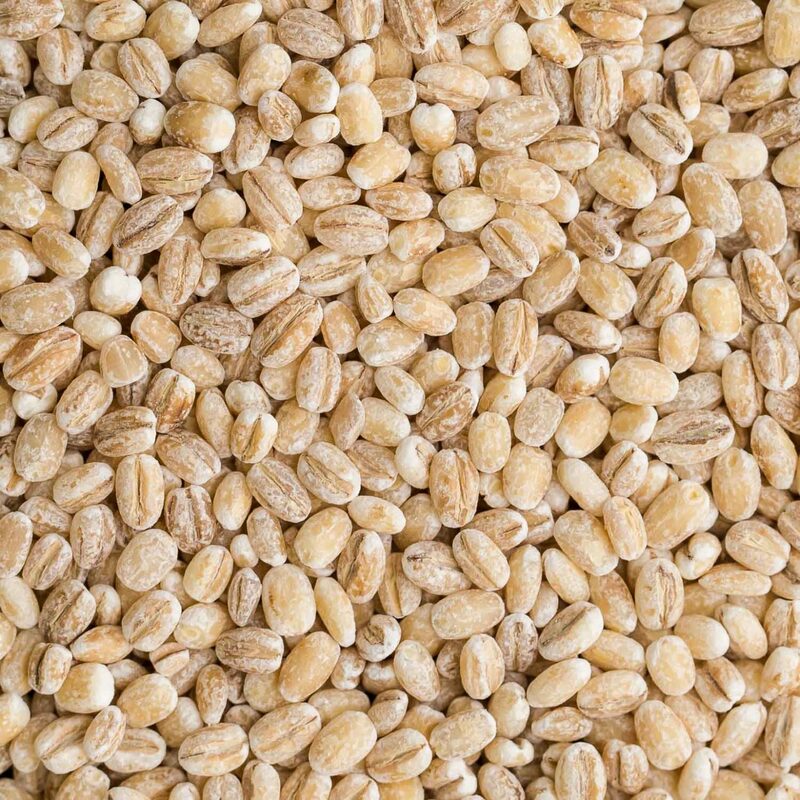 Grains: Pearled farro works just as well as the pearled barley or you can do a mix of the two for a duel-grain mixture. Goat Cheese: If you can’t find mascarpone cheese, goat cheese would work well in place. Vegetables: Roasted butternut squash, sweet potatoes, or rutabaga along with or in place of the carrots. I tend to rotate certain grains depending on the time of year. 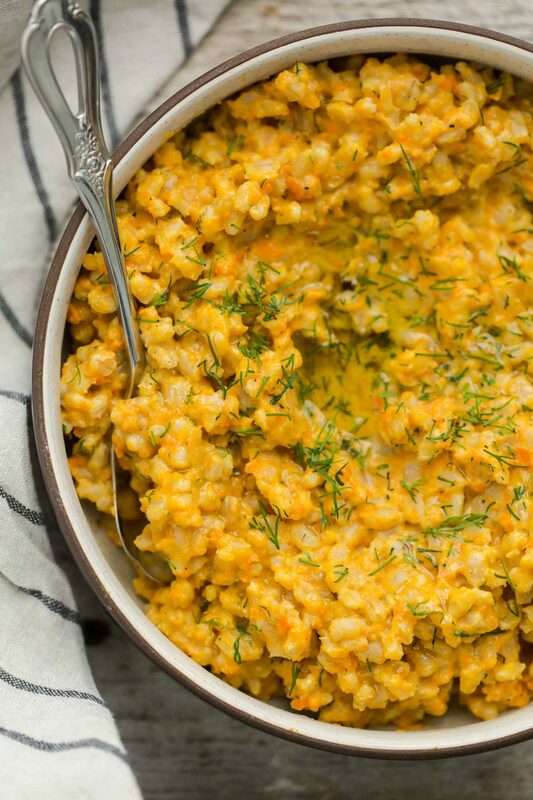 During the colder months, I reach for the hearty and chewy grains like barley. Barley takes some time to cook for the end result is a slightly nutty and warm flavored grain that pairs well with many of the cool weather vegetables. I’m not clear on why you bake the barley instead of cooking it on top of the stove or in a crockpot. Either would use less power and heat up the kitchen less than the oven. Does baking it change the flavor or texture? I do really like the carrot puree idea and the option of using beans instead of cheese to get a healthy dose of plant protein and extra fiber. Do you think there is another herb besides dill that would compliment this dish nicely? Thyme, rosemary, or sage would work- you could even do a mix of the three. How is a recipe that is 50 percent fat considered healthy? I don’t find fat unhealthy, especially in whole milk. You could easily use non-fat milk if desired. I made this the other day when I only had carrots and barley in the cupboard. I really didn’t think that it would be as delicious as it was! My husband loved it surprisingly!! I changed the mascarpone to philadelphia and it was still creamy and really yummy. Thank you so much for sharing this!